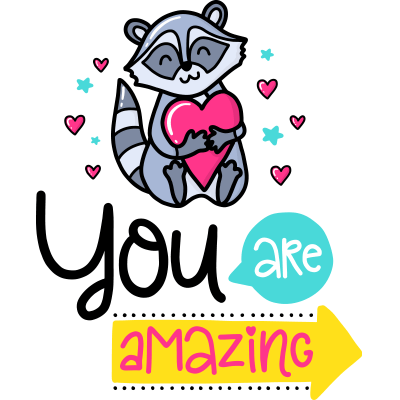 Tell someone you love how amazing they are with this charming sticker. 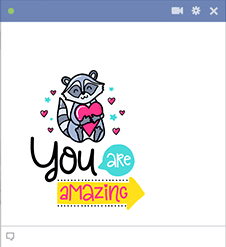 From its raccoon illustration to its heartfelt sentiment, this textual sticker will make someone's day. Our collections feature many different smileys and emoticons. Each can help you convey what's on your mind.